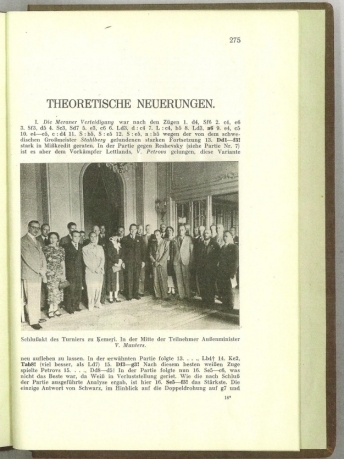 279+[iii] pages with photographs, diagrams and table. Octavo (9" x 6 1/2") bound in brown cloth. 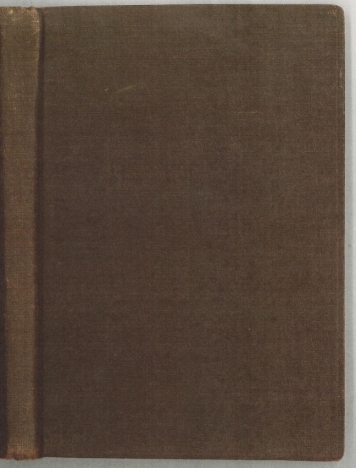 (Bibliotheca Van der Linde-Niemeijeriana: 5555) First edition. 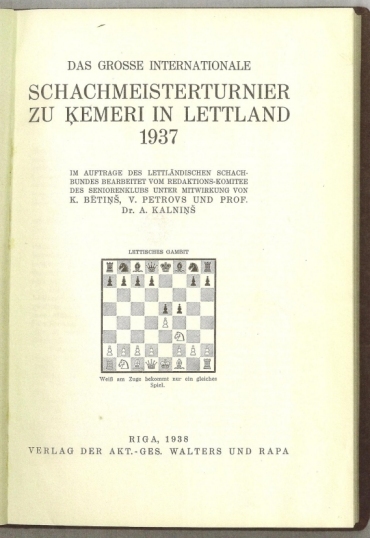 Kemeri 1937 was a chess tournament held in the resort town Ķemeri, Latvia, at the Gulf of Riga from 16 June to 8 July 1937. There were three co-winners: Samuel Reshevsky, Salo Flohr and Vladimir Petrovs. Petrovs was one of the world's leading chess players in the late 1930s (e.g., the 8th Chess Olympiad at Buenos Aires 1939), but due to the political tragedies that befell the Baltic states in World War II, he became a victim of the Soviet oppression and perished in Kotlas (Russia) gulag in 1943. Alekhine and Keres tied for 4th through 5th. Endre Steiner from Hungary captured sole 6th with six points, followed by Saviely Tartakower Ruben Fine for 7th and 8th respectively. Rebound in brown cloth which has some wear to the edges and points else a very good copy.